Is the reverse side of the moon dark? In short, the “dark side of the moon” is an incorrect name, an error. Though it sounds cool. But this is a mistake. If we assume that people are not talking about one of Pink Floyd’s albums, the “dark side of the moon” refers to its far side – which, despite the fact that it always looks from Earth, actually sees as much sunlight as looking to the earth side. Perhaps you already knew about it. But did you know that some regions of the secret back of the moon are periodically shown to us? 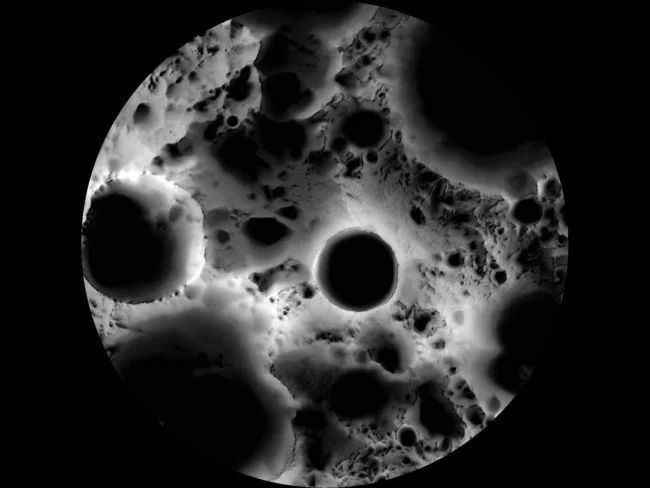 Or that some of the lunar regions are actually shrouded in eternal darkness? To understand why this is so, you first need to understand why one side of the moon is directed away from Earth. For those who live on Earth, the natural satellite of our planet will never rotate. But in fact, it rotates constantly – just its rotation around its axis and around the planet occurs at the same speed: once every 27 days or so. When the cosmic body rotates around its parent and its axis at the same speed, astronomers say it is “tidal blocked”. Our moon has not been like this since birth. Astronomers believe that, like many other natural satellites, at first it rotated at a completely different speed. In the case of the Moon, it once rotated faster around its axis. But over time, the gravity of our planet had a greater impact on the convexity of the lunar surface and forced it to synchronize its rotation with the orbital period. This phenomenon is actually quite common: many of the moons of Saturn and Jupiter are tidal with the parent planet. Tidal blocking is why we didn’t know what the far side of the moon looked like until 1959, until the Soviet probe Luna-3 took the first shots of the crater-covered landscape. Since then, we have taken some good pictures: in 1968, astronauts aboard the Apollo 8 mission were the first people to see the far side of the moon with their own eyes. The Lunar Reconnaissance Orbiter probe has compiled a complete map of the lunar surface in high resolution, starting in 2009. Just the other day, China became the first country to carry out a soft landing of a spacecraft and deployed a rover on the hidden side of the moon. But let’s be honest: we do not need a spacecraft to see the far side of the moon. While you can see only 50% of the lunar disk at a single point in time, the spots on its surface constantly open up to the attentive observer. In fact, during the lunar cycle, up to 59% of the lunar surface becomes visible to observers on Earth – provided they know what to look for. Look at this NASA visualization. It was made using satellite images taken by the Lunar Reconnaissance Orbiter. Phase changes with which you are no doubt familiar reflect the displacement of the positions of the moon relative to the sun and the earth. As the Moon shifts, darkness finds and moves away from the front side, which is tidal blocked from our planet. This animation, which combines two and a half lunar cycles into one 13-second gif, illustrates something about the Moon, something you may not have noticed before: it swings. Astronomers call these swinging librations, and they are caused by the orientation of the axis of the moon and the elliptical shape of its orbit. The inclination of its axis relative to the Earth makes the Moon look as if it slowly and gently bows, allowing observers to glimpse its north and south poles in passing. In the same way, the eccentricity of the moon’s orbit makes its front part slightly quivering, allowing earthlings to peer into its eastern and western edges, which belong to the “dark side”. The slope of the moon’s axis leads to another interesting phenomenon: some parts of the lunar surface are indeed in eternal darkness. The image at the beginning of the article is a map of the illumination of the south pole of the moon. This is a composite image, compiled from over 1,700 photographs taken by the Lunar Reconnaissance Orbiter in six months. Pole areas that did not see light at the time appear black; those who have seen the light look white; gray – something between. The black circle in the center of the image is a Shackleton crater, a shock crater 20 kilometers long with a rim that casts a long, eternal shadow on its inside. All this suggests that the “dark side of the moon” does not technically exist, but “craters of eternal darkness” (you see, sounds even cooler) – definitely exist.